I wonder if I can top this image. 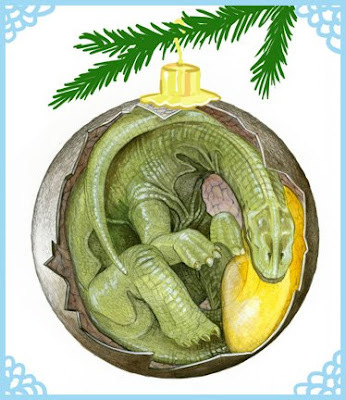 This might be the winner in the dino advent. It REALLY turned out nice don't you think? I should have saved it for Christmas Eve. Looks so cozy in there.